Our Lee County Strikers KwikGoal Speed Rungs 20"L x 2 3/4" W, is a great training tool to add to your workout. 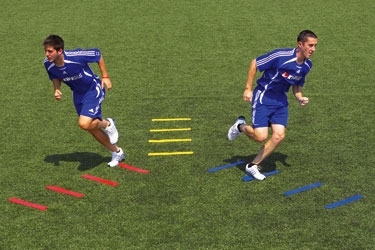 These speed rungs are part of KwikGoal's Soccer Speed Training Series, improve your speed and reaction time with this item. KwikGoal Lifetime Guarantee. Our Lee County Strikers KwikGoal Speed Rungs 20"L x 2 3/4" W, is a great training tool to add to your workout. 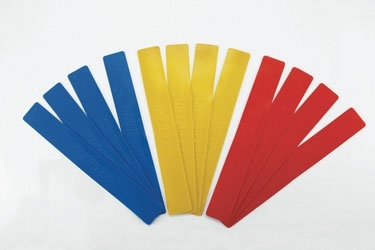 12 rungs per set (4 each red, blue, yellow). 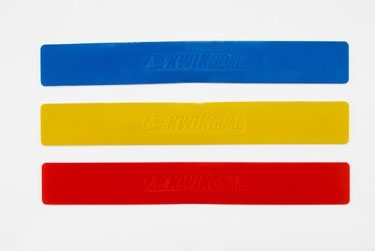 KwikGoal Lifetime Guarantee.